Presently your cell phone is the best way to stay connected with people because you do not have to search for contact details in different papers but you have all this in your phone. But not everyone who changes their contact details alerts you with the changes, so at that particular time it becomes difficult for you to get in touch with them. So, now you have an application named Perpetuall that will help you in keeping your phonebook updated when your contact change their contact details. You do not have to worry now about any changes when you are calling a person after a year’s time. This work will be already done by Perpetuall. 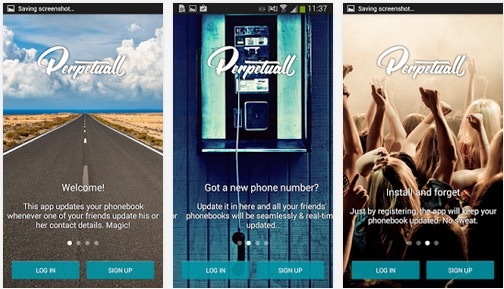 Many people will get confused that Perpetuall is another phone book that they have in their phones. TO clear this confusion, it is not a phonebook application but rather it is an application to better your existing phonebook. Getting Perpetuall on your phone is quite easy and you do not have to do anything else after getting it on your phone. It is also secured as all the security steps are cleared while installing the application on your phone. The synchronization happens with the help of your email id that you must have provided. But there may be some people who are not comfortable with this method, so for them the application has a backup technology from where you can update your contacts. As stated before contacts in the phonebook can often get changed without notice and this can create a trouble sometimes. These day most people save their contacts with the social contacts and using this Perpetuall has become an option to synchronize your contacts and keep your phone updated all the time. Not only this, many a time when you are changing your device, you tend to lose a number of contacts. So, Perpetuall is the application that will help you in keeping your phonebook updated in any device that you are using or you are changing to. There are a number of features that can be really of help to you in staying connected with your people every time. 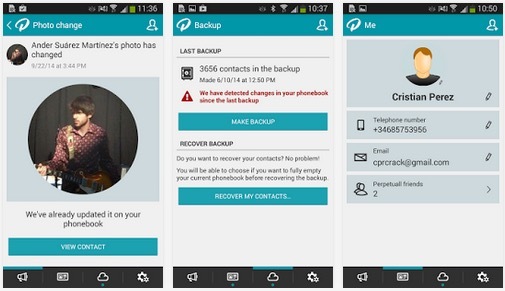 The application has a backup system through which you can keep your contacts in backup for any future use. When your phonebook is getting updated you can put notes on them using the application. Perpetuall, not only updates your phonebook but also identifies that which friend of yours is using Perpetuall. Your picture will be popping in that particular friend’s phone whenever you call him or her and the same thing happens when he or she calls you. Using the application of Perpetuall you will be able to store your phonebook contacts in your external storage of your phone. Lastly, you can also invite your contacts to be added I their phonebooks. The application Perpetuall uses a number of security methods so that both you and your contacts don’t have to face any spam related issues. The best way to get the application on your phone is from Google Play store. When you install the application it asks you for various details and various contacts such as email ids and other social apps. This is because different places of contacts may have different people whom you know and this Perpetuall syncs with all these details to get your phonebook updated. The application also creates backup of the updated phonebook so that if needed any time you can use them. Apart from Perpetuall there may be many other phonebook applications but it is all time necessary to have a check whether those applications are also providing the same security and benefits that Perpetuall is providing. The application is made for your smart phone device. There are some special requirements that you be needing in your smart phone to have this application on your device. You should have a smart phone that has operating system of android. The android version in your device must be of 2.3.3 or above. While installing the application on your phone, you will be asked to confirm your mobile. Again, you also have to confirm your phone number and email ids. Downloading and getting the application of Perpetuall installed on your smart phone device is quite easy and simple. You can simply go to the Google Play Store to search and get the application of Perpertuall downloaded. Or you can also download and install the application directly from the link. iOS users can download the application of Perpetuall from the link. Follow the following steps for an easier installing of the application Perpetuall. Download the application of Perpetuall either from Google Play Store or from the direct links provided above. Now, click on the install options opened by the application on your phone screen to install the application and run it on your smart phone device. After the application is installed, then sign up to the application with all the required details and contacts. 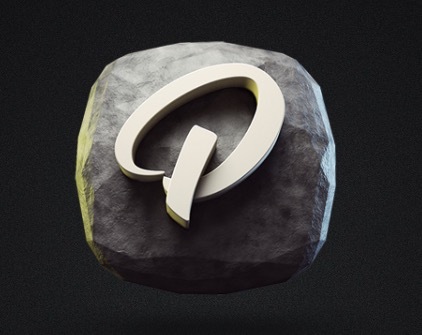 Now, Perpetuall will manage your phonebook by filtering any kind of spam contacts. After you have signed up and run the application, then you do not have to open the app every time. It will work on its own at the background of your device’s phonebook to keep it updated. As a conclusion it can be stated that Perpetuall is an application that is actually necessary for all the smart phone devices, especially for users who are having many social contacts at different sites. The working of the application is not only to keep the phonebook of your smart phone updated but also to manage your contacts and keep them safe from any kind of spam.